He was inches away from adding an AMG logo on it. This Renault driver disguised his car in a Mercedes. To show even more arrogance, the Mercedes driver wannabe parked his car in a parking spot for the disabled. 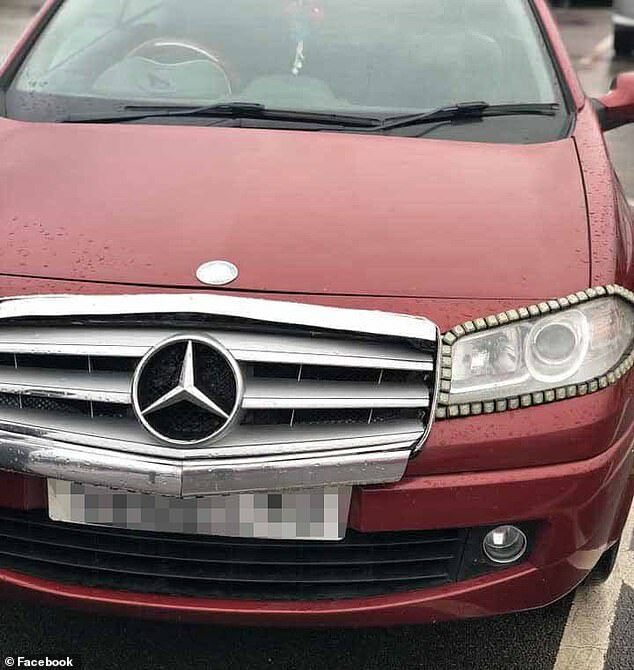 This Renault driver from Manchester, United Kingdom, is trying to trick his friends into believing that he purchased a Benz. Actually, his car, a 10-year old Megane Cabriolet, would sell for less than 2,000 dollars. But he’s far from even thinking to sell it, since the car made him famous. This Renault Merc…gane turned infamous around Manchester, UK. People from all over the city show up in the parking lot of a Tesco supermarket, where the owner probably works, to see the bipolar car. Check out more photos of the Renault Mercgane on www.missauto.ro! The photographs posted on Facebook by one of those who spotted the car in the parking lot got no less than 7,000 likes and more than 14,000 comments. What attracted the Facebook users? Well, the dark red Megane, manufactured in 2008, now features strings of beads with diamond looks around the already frosted looking headlights and an improvised radiator grill, fastened – apparently, with glue onto the original one, supporting the centrally positioned three-pointed star logo from Mercedes. You may think that the Renault is a Reanult when looked at from behind. Well, not quite. The Mercedes star logo found room on the tailgate of the French automobile as well.